Wildlife-friendly gardening is something we all aspire to do, especially here at Grim’s Dyke. We like to think we’re doing what we can, to help preserve our wildlife friends – and many of you feel the same. The key to a wildlife-friendly garden is to provide plenty to eat and safe hiding places for all kinds of wildlife visitors to our gardens and it’s not something that stops once winter is here. 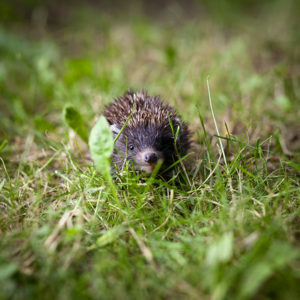 So here are some simple things you can do, to help make your garden wildlife friendly. Gardens can provide essential natural feeding stations and safe havens for many different wildlife species. However, a lot of these areas are the very things we’re quick to clear away! Fallen leaves, seeding plant heads, windfall fruit and decaying wood all lend a hand to our wildlife during the winter period. Instead of tidying it all away, why not opt for creating safe havens around your garden? You could rake leaves into an unused corner or better still, cover your flower beds and borders with them. Stacking any dead wood in a set area is a great idea – you could also use drill some holes into old timber, to help provide hideouts for the insects. As for those seeding heads, leave alone a while longer, so they can provide food for the birds and other wildlife. When you do cut them, make sure you stack them somewhere, so insects still have a safe haven to emerge from next year. During the winter birds become more dependant on the food you can provide them. It not only helps them during the winter months, but it also increases their breeding success the following year. It’s vitally important though, that you regularly clean out your bird feeders, as the winter period can make the food wet, heavy and ripe for disease. Look to clean your bird feeders regularly with a 5% disinfectant solution. 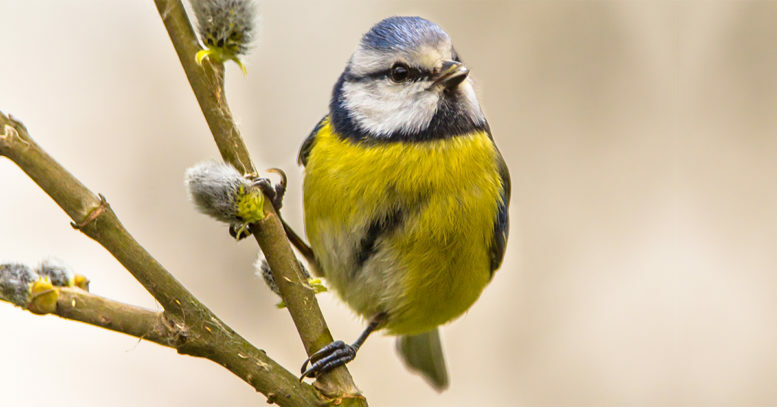 Nesting boxes may predominantly be used by the birds during summer however, they’re still vital during the winter months. Wrens, in particular, roost together to conserve heat – and an empty nesting box is an ideal place for this. Make sure you clear out the old nest and then dowse the box with hot water, to kill any parasites. Many insects use your beds and borders as hibernation areas, so keep disturbing them to a minimum. Spiders tend to lay eggs in them, whilst moths survive winter as pupae or larvae in the soil. Ladybirds are also happy to cluster together under dead plant stems, whilst beetles are scurrying around looking for worms in your flower beds. Finally, winter doesn’t have to mean a boring garden. Look to get creative with your plants. There are plenty of winter foliage plants to choose from, as well as many that produce berries over winter – another vital source of food for the wildlife. Ivy, in particular, is a great choice and hedging provides winter safety for many different species. Providing a haven for our wildlife creatures isn’t something that takes a lot of effort. With a few tweaks to your existing habits, you can easily create a wildlife-friendly garden, even during the colder winter months!